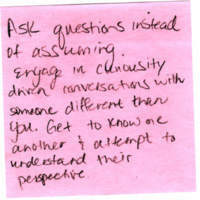 Ask questions instead of assuming. 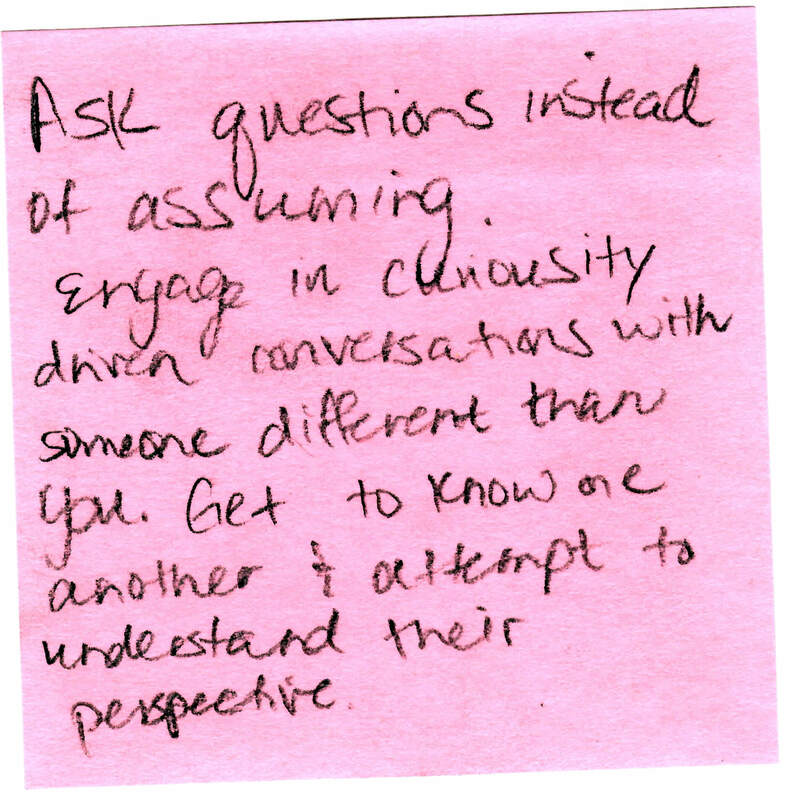 Engage in curiosity driven conversations with someone different than you .Get to know one another & attempt to understand their perspective. “Sticky Note 41,” Redlining Virginia, accessed April 21, 2019, http://redliningvirginia.org/items/show/61.